When I first saw the images in a recent Daily Beast story about men who lounge around in their brightly colored and printed head-to-toe Lycra suits, I figured it had to be a joke. 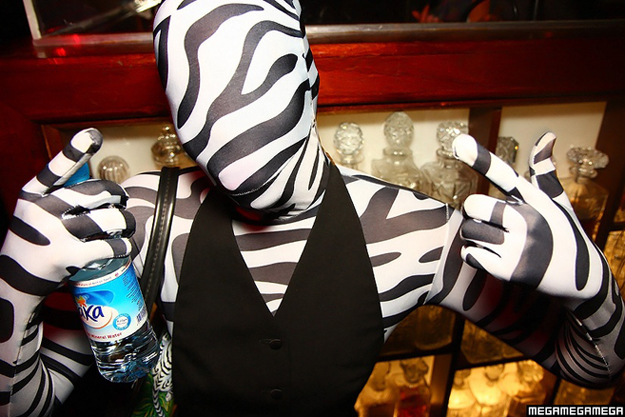 After all, I’ve been around, I live in L.A., I’ve got some crazy friends, but this was the first I’d heard of Zentai suits. But a quick Google search confirms it. Zentai is for real. According to Wikipedia (therefore it must be true), the word Zentai is derived from a Japanese term for “full-body tights” and there are retailers around the world selling the catsuits, which are typically made of a nylon/spandex blend but sometimes come in cotton or wool. 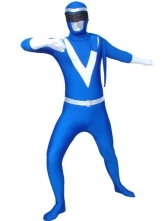 More googling turned up an e-tailer called Milanoo, which offers free shipping, prices below $50 and a few Super Hero-themed Zentai suits. “So affordable, how could you not get one?” the site declares. The Daily Beast story has a slide show of Zentai suits—and plenty of great quotes from Zentai enthusiasts, who apparently have a thriving community online. On YouTube, you can watch “Zentai Girl” undulate in her Zentai suit within a second tube of stretch fabric. The video has gotten 127,597 views so far—including a few viewers who say the video inspired them to buy their own suits.